Nico Rosberg and Lewis Hamilton finished the Singapore Grand Prix in fourth and fifth places respectively this evening. Nico ran a two-stop strategy of option/prime/prime, stopping on laps 15 and 41. Lewis mirrored this, also running option/prime/prime, with stops on laps 15 and 43. The decisive moment of the race came on lap 25 when the Safety Car was deployed and both drivers stayed out. Pitting would have committed them to a 36-lap stint on a single set of tyres to make the finish. As was seen in the final laps, all but two cars were either forced to pit again or lost significant performance. The team retained P3 in the Constructors' Championship and is now seven points behind Ferrari. Nico Rosberg: I had a good start today and the pace of our car was really strong this evening. The safety car was unfortunate timing for us and perhaps it wasn't the best decision to stay out but, at the time, we weren't sure if our tyres would be able to last the distance. I then had some rubber trapped in my front wing after the safety car period which cost me quite a lot of performance for some laps and had an impact on my race because the tyres suffered more than would be normal. We could perhaps have been second today but events in the race just didn't go our way so it is a little disappointing to only finish in fourth place. We now need to learn from this weekend and focus on the next race in Korea. Lewis Hamilton: That was a really tough race, probably the most physically demanding of the year. We tried our best and the car felt good tonight but unfortunately we paid the price for not qualifying further ahead yesterday. I didn't have the best start and had to go wide to avoid Mark at turn one. From there, it was difficult to follow the race and my position. Whilst the timing of the safety car definitely didn't help us, we need to go back through our strategy and see what we could possibly have done differently in that situation. I'm not sure we could have done what Fernando and Kimi did by staying out on that set of tyres for so long, though. Of course, it's a little disappointing to come away with only fifth place but I gave it my all out there and we'll come back stronger. Our aim is to get back ahead of Ferrari in the Constructors' Championship and see if we can get another win before the end of the season. Ross Brawn: That was a frustrating race after the Safety Car came out at what was just the wrong time for us. It was a close decision whether or not to pit the cars in order to try and run over half the race distance on a single set of tyres. Our view was that we couldn't make it, so we left both cars out on track - as did Red Bull - so that we could run a shorter final stint. In the end, we saw that two of the cars who pitted managed to make it work, but most others had to make an additional stop or fell out of the window of tyre performance in the closing laps. The race was further complicated by a front wing problem for Nico, who suffered from rubber build-up at a critical stage of the race, which cost him performance through excessive understeer. Fourth and fifth positions allowed us to minimise the points loss to Ferrari in the Constructors' Championship but our car had the performance potential to score more points today. 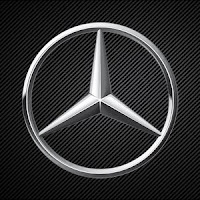 Toto Wolff: After starting from second and fifth positions on the grid, we cannot be satisfied to finish fourth and fifth this evening. Two of our rivals managed to complete over half the race distance on a single set of tyres, which was something we did not feel we would manage successfully. Therefore both cars stayed out behind the Safety Car when it was deployed. Congratulations to Sebastian on a well-earned victory: he was in a different league for most of this evening's race.